We'll help you to communicate your experience in professional and keyword-searchable documents, that clearly define your strengths and help you to stand out to recruiters and hiring managers. We'll also work with you to ensure there is a seamless story that connects your verbal story (in an interview) with your written story (LinkedIn profile and resume). 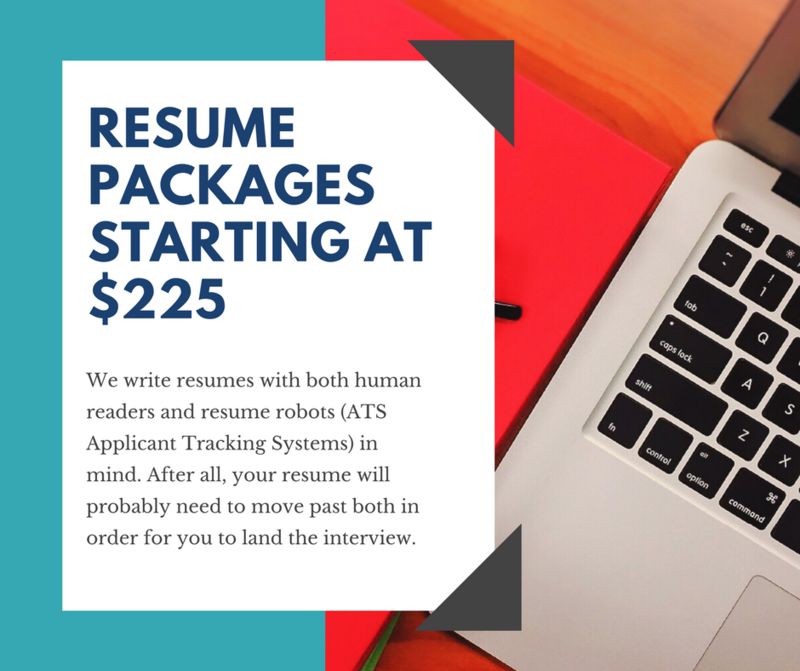 We write resumes with both human readers and resume robots (ATS Applicant Tracking Systems) in mind. After all, your resume will probably need to move past both in order for you to land the interview. Before we begin, you'll need to identify one or more “target positions.” This will help us in pulling searchable keywords (ATS friendly) to tailor your resume to their qualifications. As part of this project, you will also receive a Power Profile report: through our conversation and a simple questionnaire, we'll pinpoint your natural talents and abilities to better convey the personal value you offer to a company.